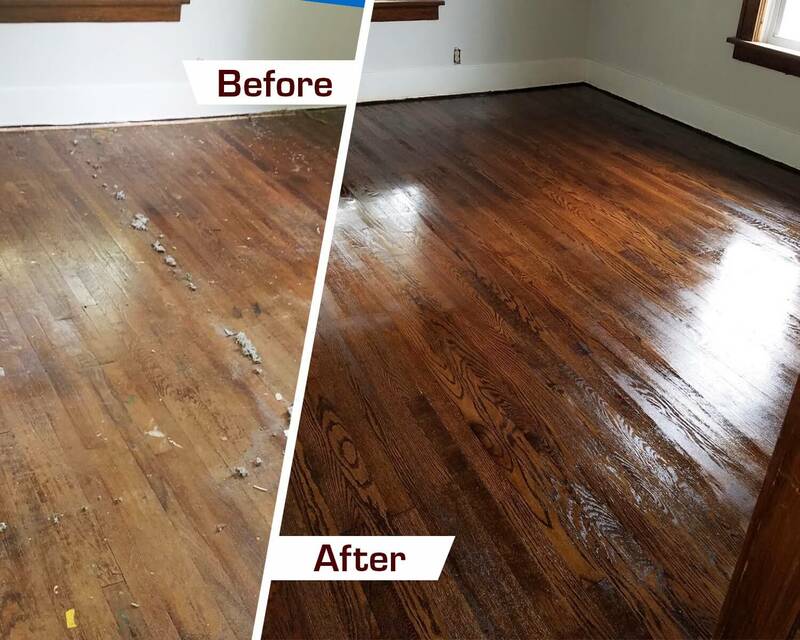 If you’re looking for the best hardwood floor refinishing Towson has to offer, look no further! Fabulous Floors Baltimore is a company that is able to restore old, worn floors at an affordable price. We will treat your floors right with our professional hardwood floor refinishing in Towson, MD. We know what it takes to be at the top of the hardwood refinishing industry. Our promise is to deliver the results that you’ll love. Our experienced technicians won’t quit until you’re satisfied with how your hardwood floors look. Because of our dedication, you can expect the entire process to take about 1-2 days from start to finish. This results in a much cheaper option than a complete hardwood floor replacement. Call the refinishing experts at Fabulous Floors Baltimore today! We’ve had many years in business to fine tune our hardwood floor refinishing process. We first encourage all of our customers to get a rough price estimate of how much the project will cost them. In some instances as we begin, we carefully remove any carpet that may be present, being careful not to damage the hardwood floors underneath. We then use our innovative sanding machine to eliminate most of your scratches, nicks, and dings that may have been present. If you’re worried that we’ll create a lot of dust in your home – don’t be! Our entire sanding process is virtually dust-free. Once your floors are sanded, we stain them with a color of your choosing. With our large selection of more than 25 colors, we have just the right color of stain for you and your hardwood floors. After the stain is completely dry, we apply our long lasting polyurethane finish to your floors to add a layer of protection against future wear and tear. Not only are our hardwood refinishing services in Towson affordable and effective, but they also are completely GREENGUARD Certified. This means that the products and materials we use are safe for your family, friends, and the environment. This is just one of many reasons that you should choose Fabulous Floors Baltimore for hardwood floor refinishing in Towson, MD. Bring back the beauty of your hardwood floors today!